The sales team at Bob Utter Kia is always happy when they're able to help drivers in Sherman achieve buying the car they're satisfied with. It's one of those experiences, when serving others, brings selfless efforts to the forefront. 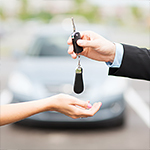 That's why we wanted to take a moment to inform you how a used car may be beneficial to purchase. 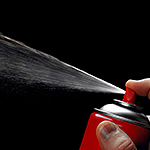 After an automobile is severely scratched, you can correct the problem by implementing advanced touch-up procedures. This job will require various supplies, which are available at most hardware stores. If you are looking for a new car to buy, we have several new vehicles with advanced safety features at Bob Utter Kia. In Sherman, a new car with a backup camera is a great way to celebrate the technology of today. You will have the benefit of having the ability to see more of the area behind your car with a backup camera. If you’ve ever installed a child safety seat in a vehicle, you know that doing so can be a complicated and confusing event. 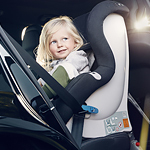 Below are a few facts about safety seat evaluation ratings from the Insurance Institute for Highway Safety that you should keep in mind if you have young children and you’re planning to purchase a new vehicle. You might enjoy an occasional unexpected visitor to your home, but you wouldn't want an animal visitor in your garage. Rodents underneath the hood of your car can cause serious damage to your electrical wiring, and the materials that they bring inside can even cause a fire when the engine heats up. If you think you might have an unexpected visitor that's decided to make a home near your engine, try these tips to keep them away. 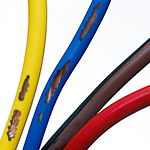 Making the underneath of your hood an unpleasant space can deter rodents from entering in the first place. Each year, one or two manufacturers have to issue what is called a 'recall'. This recall is basically a public announcement that there is something concerning going on with a certain make and model of vehicle that is currently on the road. The problem often has to do with safety in some form. It is important that once you receive the notification for recall, you contact your local dealership to find out what steps you need to take in order for your vehicle to be repaired. Traveling with your pet can be a challenging experience. With a little planning and implementation, you can make this experience fun and rewarding for both you and your animal. 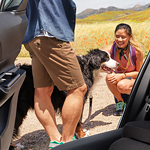 The pet and vehicle experts at Bob Utter Kia want to help you to make this travel as convenient as possible. When a battery is used in places that have extreme conditions, its power cells can develop energy inefficiencies. If you want to protect a car battery in a practical and efficient way, you'll need a strong defensive strategy that focuses on temperature management. Within a standard car battery, there is a chamber that holds lead acid. This acid substance performs well in many environments that have reasonable temperatures. However, when the temperature around a lead acid battery is too hot or cold, performance problems will occur. Winter driving can be more difficult and hazardous than in the other seasons. We at Bob Utter Kia want you to stay safe on the road this winter season. The following tips can help you stay safe on the road in the winter. Before you head out, make sure your tires are properly inflated. Sudden drops in temperatures can deflate your tires. If it is freezing outside, make sure you keep enough gas in the tank to prevent gas line freezing. Try to keep at least one half of the tank full during freezing conditions.